Growing up, for as long as I can remember, my mom's always been kind of a health freak - the fact that she's a nurse also had some effect on that I think. For example, before going to work, she would make us fresh celery, apple, carrot juice or ginseng honey shake(still my favorite!) every morning, homemade yogurt was always available in the fridge, and everything had to be at least environmentally friendly or all natural to name a few. It's amazing how she did all that while working. At that time the word organic wasn't common at grocery stores, but even then, she somehow brought home all these stuff that has healthy sounding wordings on it. Now there's a small organic grocery shop near her, my sister tells me that when the owner of that little shop sees my mom walking in, her face just brightens up. Haha. That's how much she contributes there. It's hilarious. Anyway, being that way, my mom used to make jam at home time to time. And she never added commercial pectin in it. I remember her saying something about adding commercial pectin other than the pectin coming from fruit you're using for the jam has some health concerns. I didn't care much at that time nor did a full research but now I know, depending on the kind of pectin you use, it is true. 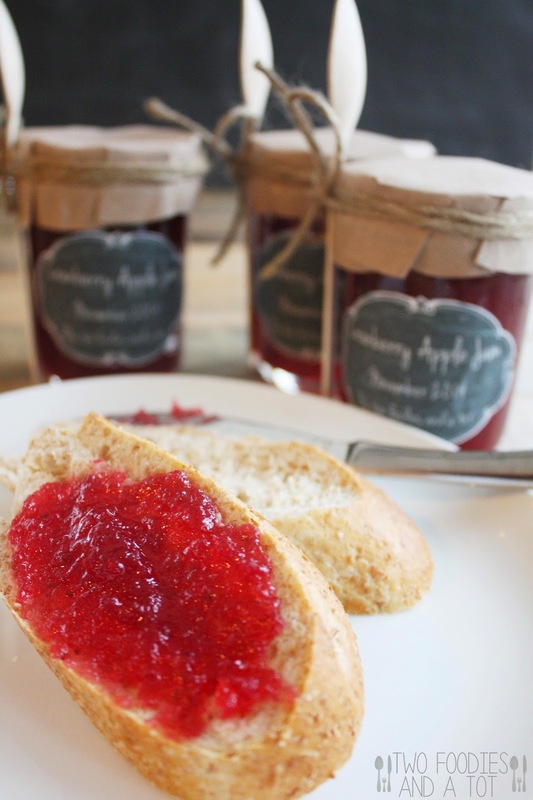 I've seen natural based ones which I assume safe, but the fruits I use to make jam are usually the kind that has a lot of natural pectin, so I did not add pectin either. 1. Combine apple, cranberries and sugar in a large pot and boil over high heat. Skim the foam as it cooks. Cook for 10-15 minutes or until cranberries start to pop. 2. Add lemon zest and juice. Simmer until thickens. I used a immersion blender to blend when it started to thicken as I didn't want it chunky. It depends on your preference. 3. Boil for another 30 minutes or until it becomes thickness you like. Check the thickness by putting it on a plate placed in a freezer for a while. 4. 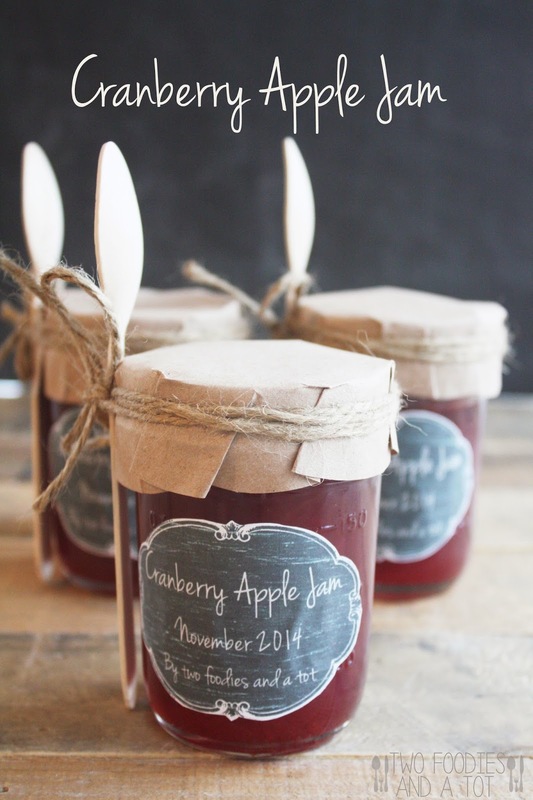 Proceed to canning or place in airtight containers and keep refrigerated. * Recipe from food in jars.